Since World War II, two major superheroes have used the name "Captain Marvel" - but they aren't the same hero or publisher. If you've been online or are aware of upcoming movies, you've probably heard about Captain Marvel and Shazam, two superhero movies due for release in 2019. Both films have been in development for a few years now, though as with most major superhero movies, the characters have been around for a lot longer. Marvel and DC Comics have both been publishing stories involving a “Captain Marvel” since the 1960s (the DC incarnation being around for even longer before being revived), yet the two companies follow different characters with little similarities beyond the name. Over time, both companies have made their versions well-known, whether in modern day or years ago, the name “Captain Marvel” has been such a big part of culture that the Beatles even mentioned him in one song. So with that in mind, how have the two biggest rivals in the industry been able to keep releasing comics with the same name? The original Captain Marvel was originally published by Fawcett Comics during World War II. At the time, the comic industry involved several companies, all making their titles and doing everything in their power to outsell the others, no matter what it takes or who gets the worst deal (Bill Finger, Jerry Siegel, Joe Shuster, etc.). Fawcett's character was essentially a rip-off of Superman – bright costume, had most of the same powers, fought evil scientists and Nazis, nothing unlike a war-era Action Comics issue. 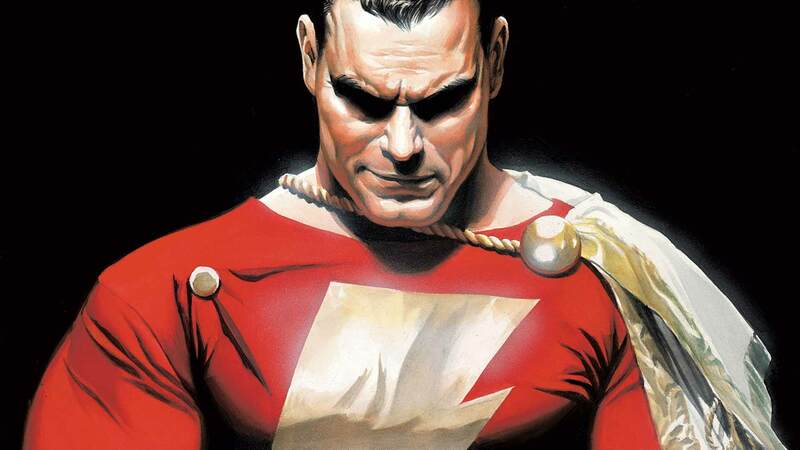 Captain Marvel was the superhero name for the transformed Billy Batson, a kid who upon saying “Shazam!” would turn into an adult with the powers of Greek gods. He was the first superhero to be adapted to film – a popular movie serial that predated the infamous Batman serial, and if considering sales alone, Captain Marvel was more popular than Superman at the time. As the character became more and more popular, Detective Comics (later National, later DC), noted the character's similarities to Superman, and brought Fawcett to court on copyright infringement. It should be noted that when testing names for the flagship Captain Marvel title, Flash Comics was suggested but unable to be sold due to National publishing their own Flash Comics series (Fawcett went with Whiz Comics). The lawsuit was stuck in litigation for years until finally being brought before a judge in 194 8. By 1951, it was ruled in favor of Fawcett, as DC had accidentally let Superman newspaper strips go into public domain, thus making the powerset public. This didn't exactly work out well for the company though, and due to the costs of the case and a changing readership, Fawcett went under in the 1953 before Silver Age. Another hearing was held, and while the new judge ruled that the concept was not infringement, certain individual stories were – and the company settled, and sold off the rights. DC bought the rights to several characters, including the Captain Marvel family of heroes. For Marvel, the 1960s was their most creative and popular era. Within the decade, the Fantastic Four, the X-Men, Spider-Man, the Avengers, Doctor Strange, and Black Panther had all quickly risen to the top of culture – hippies even used the Doctor Strange image in artwork. As their name was also an adjective, it was only a matter of time before they named a character after the company. December 1967 introduced us to another Captain Marvel – this time, an alien general named Mar-Vell (it's comics, just roll with it). His stories were more space-faring, involving the Kree and Skrull empires, as well as bringing him to Earth to fight alongside the Avengers. Of course, one may ask how Marvel was able to publish a title that their competitor owned – but the copyright for the title Captain Marvel had expired, which gave Marvel the legal means to give Mar-Vell a solo series. DC was not publishing any of their Marvel Family titles at the time, so if it went to court once again, it would be likely that DC would loose the fight. Rather, DC ended up letting Marvel continue to publish their self-titled series, and during the 1970s when they finally revived the original Captain Marvel, the comics were released under the name “Shazam” - as was all related media, including the 70s live action televisions series. At first, the comic was subtitled “The Original Captain Marvel,” but this was quickly dropped when Marvel threatened a lawsuit. Despite the relatively popular revival, the Fawcett Marvel Family was kept in a separate universe from the main DC one, as to allow more freedom and prevent the need for a reboot (this changed with Crisis on Infinite Earths). Recently, the DC character was completely renamed to “Shazam,” as was the movie that is still in production. Now, the two characters are about as far from each other as possible. 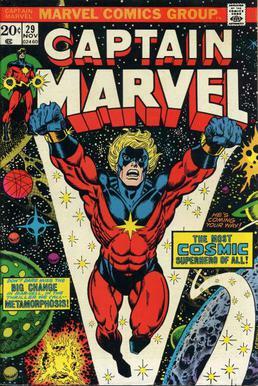 Mar-Vell was killed off in the Bronze Age of Comics and several successors took the mantle. The current Marvel Captain Marvel is the former Ms. Marvel Carol Danvers, and since taking the mantle in 2012, she has become one of Marvel's top selling titles. Meanwhile, Shazam and the Marvel Family are doing alright, but nowhere near the early days. Even though Carol Danvers will be getting a movie adaptation first, with the name and the impact of the first female led Marvel Cinematic Universe movie, the original DC/Fawcett Captain Marvel has the larger cultural impact. 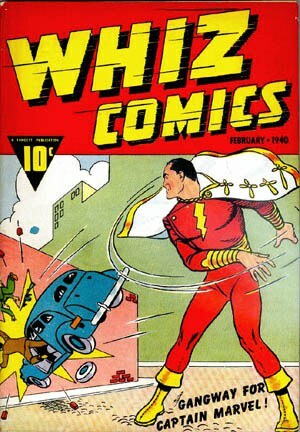 Elvis Presley was a big fan of the comics, and his hairstyle and famous white costume were inspired by Captain Marvel Jr. (essentially their take on Superboy/Robin). With both companies preparing to release major motion pictures based on their very different heroes, it will be interesting to see which Captain Marvel resonates the most with the mainstream audience. Granted, it'll probably be the Marvel one, but hey, Wonder Woman surprised us. Maybe DC will pull through, and we'll see a Shazam revival in the pop culture. Really, only time will tell. But this time, DC is not using the name, so Marvel can keep the brand recognition, and nobody will get confused between the two. Unlike the MCU timeline, but that's a different story for another time.